Facebook began its pride month celebration this year by launching a plethora of cool LGBTQ-themed features including profile frames, backgrounds, stickers, and more. The best part: these new features won’t be vanishing at the end of pride month like last year’s. The social media network unveiled the new features last week, which include the usual rainbow-themed stickers and backgrounds for text posts, filters for messenger, and a few frames for profile pics. To get started with the text effects, log in to Facebook and start a new post. You can then select a background or stickers for your posts — unfortunately you can’t use both at the same time. If you’d like to update your profile frame for pride month, click on this link (you’ll need to sign in to FB, or already be logged in) and search for “fbpride.” There are several frames to choose from and you can set them to revert to your previous image/frame after a specific period of time. Finally there’s some fun AR filters, masks, and effects available for Messenger that will let you show off your pride in your selfies and messages. As mentioned previously, Facebook won’t rescind the pride month stickers, backgrounds, and AR features. We know that people in the LGBTQ community are supporting one another worldwide and year-round, which is why we’re making all of these effects available throughout the year. 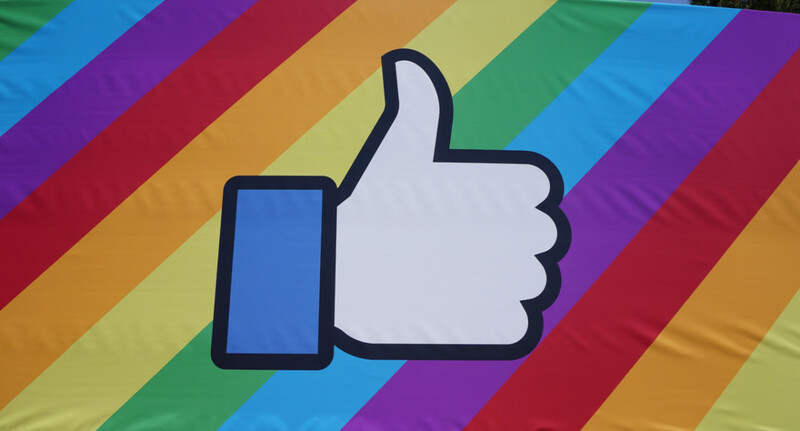 Many of us have been clamoring for a more inclusive Facebook experience, and being able to celebrate LGBTQ pride with these effects during the other 11 months out of the year is a step in that direction. You can get more information on Facebook’s pride month celebration by visiting the company’s “LGBTQ@Facebook” Group page.